What stocks work best for MONTHLY income using a broken wing butterfly, and how to find the good stocks and avoid the bad stocks. How to set up a Broken Wing Butterfly so you know how to use it and why it works. When to put on the trade, and when to take off the trade, to maximize your profit while minimizing your risk. Step-by-step checklist of how to put on the trade and take the trade off, so you know exactly what to do. The specific time you close the trade, to protect you in a bad trade, so your returns remain consistent. 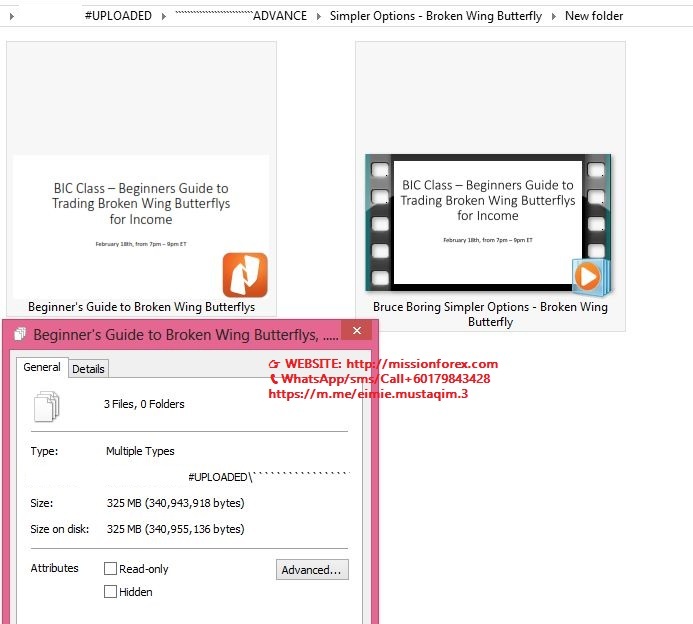 How to avoid the most common mistakes people make when trading broken wing butterflies. Includes: 1.MACD & MACD- Histogram, 2.Relative Strength Index, 3.Stochastic, 4.Directional, 5.Williams %R, 6. Elder-Ray, 7 Triple Screen Trading System. This set of 7 videos is an “oldie but goodie.” It includes lessons on using MACD, RSI, Stochastic, Directional system, Williams %R, Elder-Ray and Triple Screen. This is a set of original videos, produced when Elder.com just began and was still called Financial Trading Seminars. The graphics may look a bit dated, but the lessons are sharp and valid today.